To use this skill, you need to allow access to Kid Skills. Learn more. Access to Kids Skills has been turned on. Learn more. 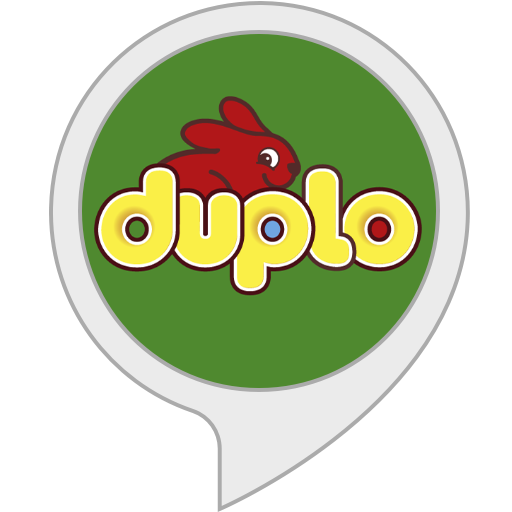 Take development and roleplay to a whole new level of fun with the free LEGO® DUPLO® Stories on Alexa! Whether your toddler is the captain of a fishing boat or a bird travelling far and wide, they will experience the joy of learning with LEGO® DUPLO® through short, interactive stories involving animal play and vehicle play - using their very own DUPLO® bricks! And don’t worry if your child does not have all of the pieces – they can use whatever they have on hand to act the story. The only limits are their creativity and imagination! LEGO® DUPLO® Stories encourage children to learn via creative play in a fun, safe atmosphere. Learning numbers and colors and developing language skills have never been more enjoyable! To start, say "Alexa, open LEGO DUPLO Stories”. To select vehicle stories, say “Vehicle story”. To play the animal or vehicle story again, say “Yes” at the end of the story. To quit the animal or vehicle story, say "Alexa, exit" anytime during the story. To learn more about LEGO® DUPLO® learning games and story starters, visit LEGO.com/DUPLO – and experience the joy of creative learning through development and roleplay! 2 customers have rated this. There are no customer reviews yet. Simple, short, fun stories that our children can interact and play along to. The kids had fun with this story building it let them play longer with the blocks then they normally would have. we enabled this but it keeps saying it couldnt play, open or start it. This program may need to be updated. Couldn't understand what we said; kept jumping back to start of stories; our son was disappointed and confused. Spend some of that wonga Lego and fix this thing. Useless at present.